The game is played in rounds, with each player spending five points among their salmon tokens in order to move them, either swimming or jumping across the hexagonal tiled river. At the end of each round, the lowermost pieces of the river are removed from the game, along with any salmon tokens standing on them, then three new tiles are added to the uppermost side of the river. 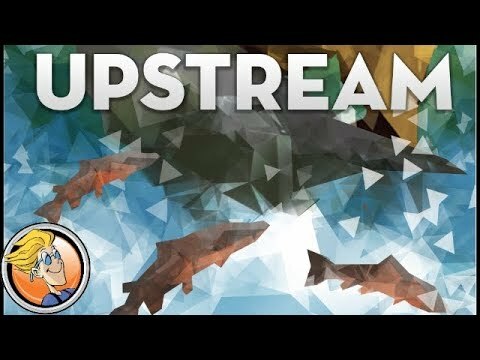 The game ends when all salmon are either deceased or on the spawn point at the very end of the river. Players then score points, according to the number and order of arrival of their salmon. The player with most points wins.